This week the pod takes on Social Emotional Learning in schools. 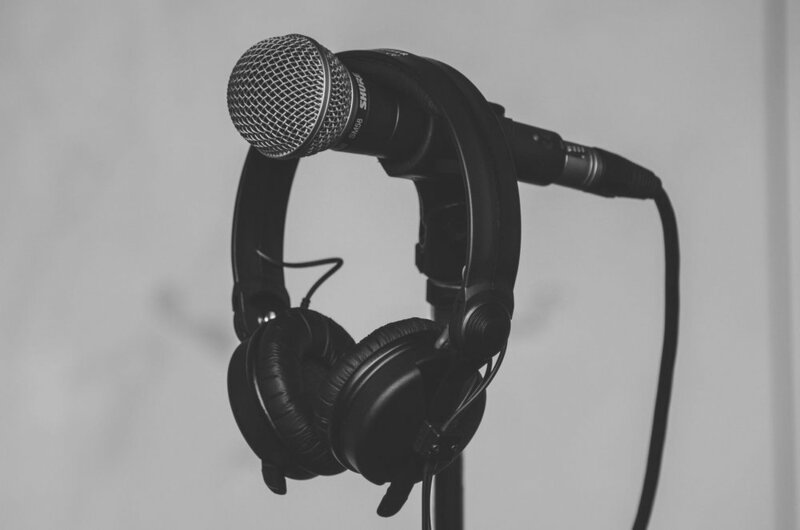 Danielle Gonzalez of the Aspen Institute begins the podcast with her perspective on SEL and why we must teach it. She also delves into the danger of "systematic whitening" of students of color and where the national policy conversation on SEL is headed. Next up, author and professor, Claude Steele, gives an overview of Stereotype Threat with a few ways to combat it. Professor Steele’s book Whistling Vivaldi centers around anecdote about a man-of-color whistling Vivaldi in public spaces. Steele also discussed the impact of the disproportionate ratio of white females teaching to students of color and the need for Social Emotional Learning in school. 2:00 What is Social Emotional Learning and why do we teach it in schools? 4:00 Aspen Institute convenes state superintendents to talk about leadership and disparities between white and black students. Implicit bias, interpersonal relationships, black and white students experience the world differently. See the Aspen Report here. 9:00 Is SEL a way to systematically “whiten” students of color? 12:00 Stereotype threat and the meaning behind Whistling Vivaldi. 15:00 Academic Beat of Professor Steele: What do you do? 17:30 Professor Steele explaining SEL from his perspective. 25:00 Professor Steele’s take on historical events that led to teachers being so homogeneously white and female. How should we develop trust between students and teachers of any color. 29:00 What should school systems do to support students social-emotional needs? 33:00 Who do you see and who have you seen do this well? 35:00 What do you [Professor Steele] wish the Secretary of Education, Betsy DeVos, understood about Social Emotional Learning? Ep. 39: A World Cup Wrap-up and the State of US Soccer--at least the Women are Good, right? A reminder our #NerdFarmReads Fall Book is "We Gon’ Be Alright" by Jeff Chang. Buy it, read it, tweet about it using #NerdFarmReads. We’ll record in the fall. The World Cup is the biggest sporting event on the planet. Every four years billions of people worldwide tune in to watch their national teams (adopted or otherwise) compete for the most important title in sports. The month-long tournament just wrapped up. On this episode, Nate sat down with Steven Ketelsen and Kevin Zamira, two of the hosts of the Flounders B Team. Flounders B Team is a South Sound soccer podcast on the Channel 253 Podcast Network. We discussed the cultural divisions within US soccer: “suburban & mainly white (cargo shorts)” versus “urban & mainly Latinx and African immigrant” and how it harms the growth and development of the sport in our county. We also discussed the US failure to qualify for this World Cup. Coaching is the number one reason, but there are problems at the core. Future pod guest Matt Pentz’s Own Goal is required reading for this conversation. We wrapped up a discussion of about the final. Ep. 38: Wait. Is Kent Really Asking Students and Families to Send Toilet Paper to School??? Kent is a school district located south of Seattle that serves 26,000 students and employs 3,400 people. Layoffs were announced this spring and teachers are fleeing in droves. It may be summertime, but we decided to get to the bottom of the sitch in Kent. 10:00 What is the McCleary Decision? What is a Title I School? And what do they have to do with all of this? 19:00 Kent’s finances are especially messy. Ashley Gross explained, how unusual is it to borrow from the Capital budget and/or the Rainy Day fund? 23:00 Denisha discusses the impact of the budget situation on her students, especially her level of access to technology. 34:00 What’s the “Geographic Footprint of Kent Schools”? 38:00 What are some solutions (spoiler: there aren’t many)? 41:00 Who should the audience follow if they want to know more about what’s happening in Kent? Denisha: Where is that necklace from? This week’s guests are local experts on books, films, and music. We hear from Katy Evans who works for The Grand Cinema (the local arthouse theater.) We get music recs from hip hop head, local podcaster, realtor, and ex-educator Dave Jones. And we learn what we should be reading from our only four-time-show-guest Kenny "I have a lot of opinions" Coble of King’s Books. Dr. Holliman Douglas is a Washington transplant by way of Tennessee to Kentucky. She holds degrees from Western Kentucky and Murray State University as well as a doctorate in Ed Leadership and Policy Studies from Eastern Kentucky University. She is the first person to hold this position at the college because the students wanted it, needed it, and asked for it. She completely believes in a liberal arts education and wholeheartedly believes her (currently unborn) child will attend one, when the time comes. 12:00 What is happening in K-12 that isn’t happening in college? A discussion surrounding equity gaps, female students, historically marginalized students teach them about their future and possibilities. How should K-12 and Secondary Ed have a conversation? 16:00 Given what’s happening with demographics, how should university prepare for the new generation of students? 21:00 Why is it so difficult for universities to create spaces? 22:00 What should the university role in helping shape our political future moving forward? 28:00 A deep dive into student retention at the college level and the factors that impact it. 33:00 What is service learning and where is it shown in Evergreen and Washington, as a state? 38:00 A conversation surrounding the ratio of faculty of color to students of color. If you had absolute freedom, what crazy, kooky program would you put together? Netflix Recommendation of the moment? Give me a TV you enjoy? How did you fall in love with New Edition? Congressman Denny Heck is a Greener, author, film-buff, and the representative of the 10th Congressional District. His top priorities are growing jobs, growing economy, and feeding the American Dream. He serves on the House Permanent Select Committee on Intelligence and has strong thoughts about housing policy. 5:00 What are the primary concerns of your constituents? 10:00 What message do the national Democratic Party have for places like Elkhart, IN and Shelton, WA? 13:00 When we vote for a Republican we get a tax-hating, abortion restricting, deregulating, gun-loving conservative. What do we get when we vote Democrat? 17:00 How housing affordability and experiencing homelessness are influencing the country and economic turns. 23:00 Do you think there’s hope for an actual bipartisan infrastructure plan soon or in the long-term? 26:00 What does tribal sovereignty look like in 2018 and the future? 29:00 Regarding recent moves by the Trump Administration: is it odd to pull out of a negotiated deal with Iran on the eve of an impending negotiation with North Korea? 32:00 What do Republicans say to you (when no one else is listening) about say about the current state-of-affairs? 34:00 Opinions on reducing the role of Gerrymandering. 35:00 What should happen between now and November to prevent foreign intervention in our elections? 38:00 Why is the disposition with the house? What’s up with David Nunez? 43:00 What’s the worst case scenario/long term trajectory with respect to the tax bill and the wealthy? 48:00 Where are we nationally on the issue of marijuana? 51:00 What’s your philosophy on engaging with constituents? 53:00 Thoughts on Net Neutrality? How do you think the FCC and the courts will handle it? If you weren’t a member of congress, what would you be doing? How do you pass the time on flights? Is there a teacher out there you’d like to thank from your childhood? Do you have a favorite summer break memory? Aaron is a tech and marketing dude who loves sports and has found a home in Tacoma. Casey is a musical journalist turned event planner, now Executive in Charge of Chicanery, Nonsense, and Tomfoolery for Sounders FC 2 and the Tacoma Rainiers. 2:00: How in the world did y'all end up here? 12:00: Cheney Stadium, sunsets, forming community, switching to the R logo, and working with great partners in Tacoma. 15:00: The science behind when people will go to soccer versus when they will go to baseball. Ownership? Contracts? How does all this work? How much does it cost to transform the stadium? 23:00: Where are we getting new players? Are these kids really 15-20 years old? 28:00: The purpose of minor league team is to develop talent. The people that watch and come to wins would like to see wins. How do you navigate these two interests? 33:00: S2's move to Tacoma happened faster than anyone expected. One of the reasons is that NASL (RIP) was involved in a lawsuit (it's complicated). Cheney provides a higher capacity than Starfire. What are the opportunities you're excited about exploring? 35:00 What is your favorite ‘What the hell is Casey Doing? !” moment? and what’s up with the pineapples? 41:00 What is the proposed stadium location? There’s a rebrand coming! What should we do? [Warning: this is some deep South Sound soccer nerdery]. What’s the best or your favorite live sporting event? Is there a soccer stadium you’re looking to for inspiration? Best athlete you ever saw in person? If you had to listen to one song on repeat, what would it be? What’s the best concession value that which people don’t take advantage? Sinclair Broadcasting is the number one owner of media and is shaping our perceptions. We are in a period of transition. The Internet is ascendant. Radio is full of awful conglomerates. Newspapers are struggling. Our story begins here. 6:00 Current State of Affairs in Media? How does it compare with other parts of the country? 8:30 Discussing the Mike Rosenberg Tweet: The Times cut 24 jobs. 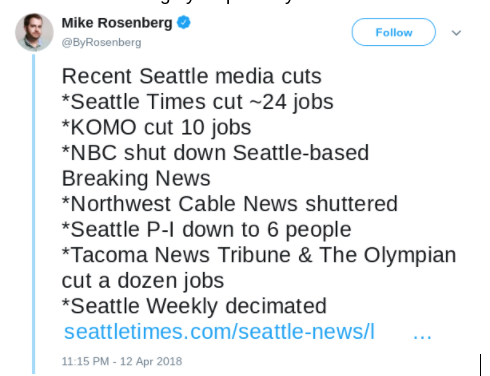 KOMO cut 10 jobs. NBC shut Seattle based breaking news. Seattle PI is down to 6 people. 12:00 How are reporters evaluated? How is your effectiveness as a journalist measured? 16:00 What is it about the Times that you do community engagement events all the time? Readers have a relationship with the paper. 24:00 A discussion of consolidation within US and local media. 37:00 Who are some talented up and coming newsroom persons of color? 40:00 What does the future look like for journalism students? 44:00 Comparing Teacher salaries versus Journalist Salaries. 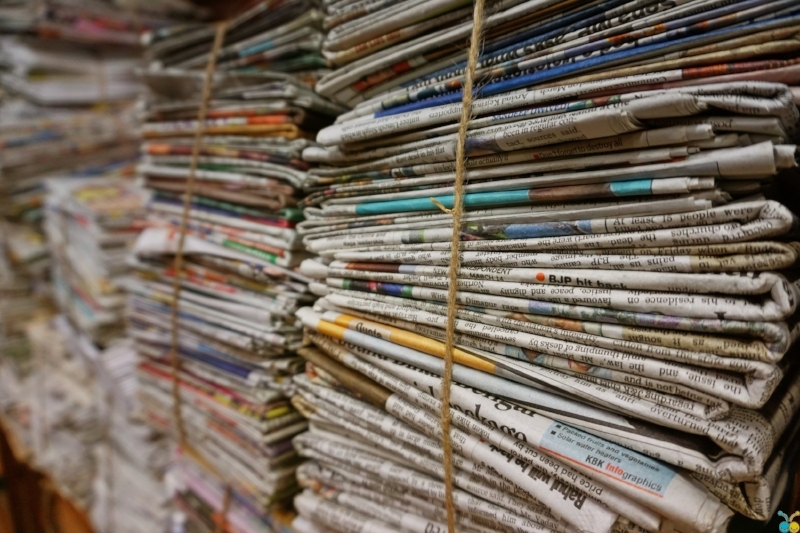 49:00 How can we support local papers? 51:00 How do we get quality, credible news online without a paywall? Give a letter grade to the national media. What is one book every listener should read? Dahlia is a graduate from the University of Oregon (booo!). She works as an engagement editor and occasional reporter for the Seattle Times’ Education Lab. She and her family have always been interested in foreign affairs; this led Dahlia down the path of journalism. Her commitment to promoting the voices of students, teachers, and educators is inspiring. Education Lab is a team in the Seattle Times newsroom that looks for education solutions in the Puget Sound. 6:00 Dahlia discusses her path to journalism, her family life, and how she got to Seattle Times. 9:00 Dahlia re-caps a few of her favorite and/or more notable stories. 13:00 The state-of-affairs in education in Washington state is? 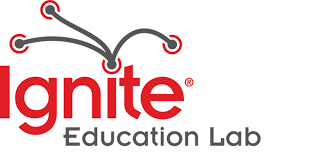 16:30: Dahlia and Nate discuss Ignite Seattle, 5 minute talks from persons in the education system, which (let’s face it) everyone has either been in the system or is currently a part of it. 53:00 What is Ignite Seattle looking for in submissions? How can you participate? 56:00 Try To Be Normal. Fix Yourself. Who do you read first thing in the morning? What’s your favorite non Nerd Farmer podcast? What is the last book you read? Is there a book every person should? What qualities would look for in a new Seattle Schools Superintendent? When you think about the work you do, how do you know you’ve made it? Where can I watch footage of Ignite Seattle?